How to join this club! 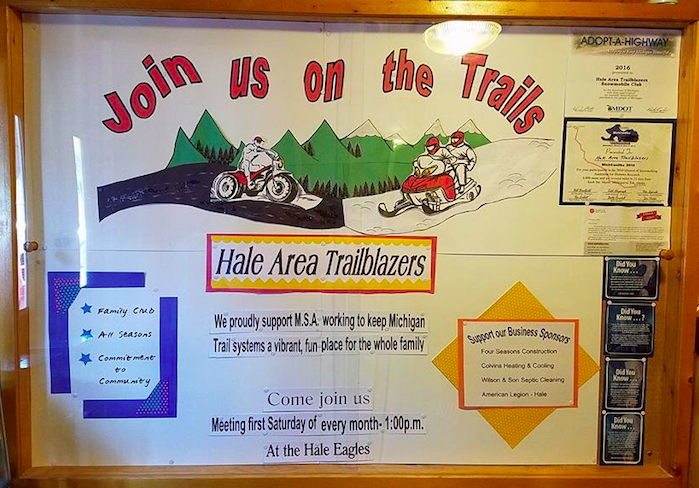 The purpose of the Hale Area Trailblazers is to promote the safe use of snowmobiles and other motorized recreational vehicles for enjoyment and recreation, and to promote finances to help area needy and other Non-Profit Organizations. February 19th - Trailblazers Moonlight Mystery Night, Place: Meyers, Time 6 p.m. Snowmobiling, x Country Skiing, bonfire. 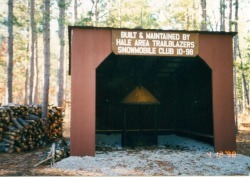 April 6th- meeting, 1 p.m. Hale Eagles, Pot luck. Congrats to Roger Kilbury for winning the "Almost Snowmobiler of the year" Awarded as a result of Roger choosing to traverse a 25' ravine verses a curve in the trail which ended Roger with a broken leg and a few broken parts on his sled. It will be Rogers responsibility to pass on the prestigious award for the 2020 season. 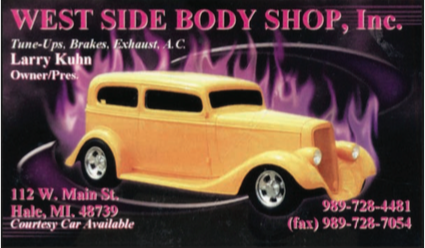 Big "thank you" to our current business memberships! Thank you to Four Season Consturction of Hale for signing up to be our first Business membership! 2017 Hale Vintage Snowmobile show was a "2 thumbs up" event hosted by the Hale American Legion and orgainzed by Fred Edgerton. Great time had by all. A big "Thank You" to Don Ryan and the crew of people that mended the warming bonfire ring and chimney. Nice job on 2015 Hot Chocolate stop Roger (Chairperson) & Trailblazers. Click here to see pics. New Trailblazers By-Law update now allows children to attend the Trailblazers monthly meetings. Monthly meetings are not considered an "Event". 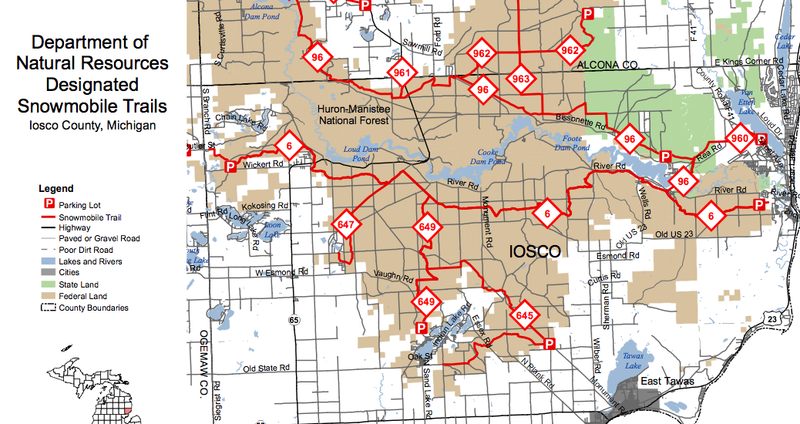 Iosco County Planning Commission Minutes - finally a "White Shoulder Policy"